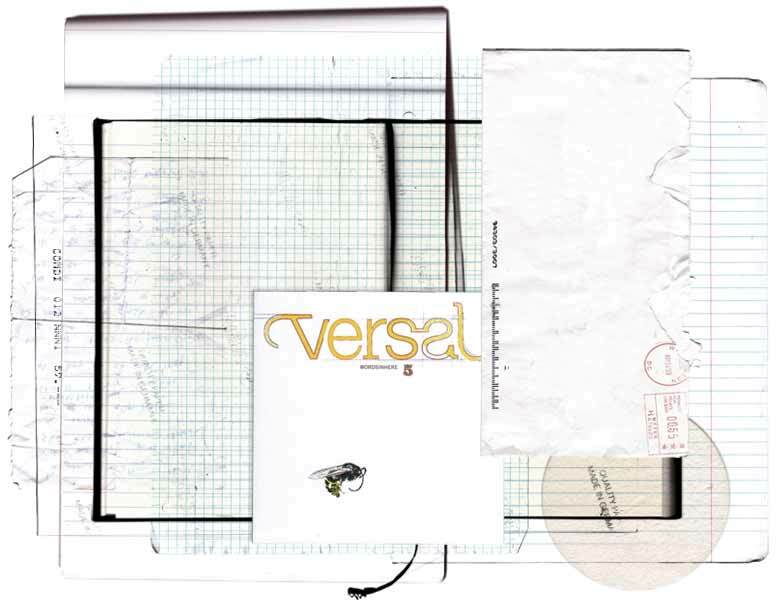 Versal as was ran from 2003 -07. Next incarnation is Full Metal Poem a team effort Mark Terrill, Floorjte Bouwkamp, Eliza Newman-Saul, and Peter Dejong. Click on any of their names to see their most excellent work. Full Metal Poem is an irreverent poetry and art magazine that picks up where history left off. Click for pictures of us laying out Versal 3.